Why “goals”? Because “resolutions” don’t work. They have a silent stigma around them that makes you think you only have to do them for a short amount of time. If you have a goal, that suggests that you must complete it. For example: “My New Years resolution is to go to the gym.” People who say this 9/10 only go for 2 months at the most. “My 2016 Goal is to go to the gym at least 10 times a month.” This is much more feasible and gives you a number to focus on. You could easily put that in a to-do app or on your calendar. Get straight A’s This one is kind of basic, but I got a B in Biology for Majors last semester and I’m making sure that won’t happen this semester! Get my driver’s license I know, I know. I’m super late to the driving party. Read 30 books I always have a book goal for the year. The last 2 years have been 50 and 40. Go to at least one concert I love concerts and music festivals! They’re such a good way to show support to your favorite musicians and make memories. Apply to my dream college I’m not going to say where due to personal security, but it’s pretty amazing! Do some form of exercise a day Yoga, swimming, the elliptical in the gym, etc. Happy New Years! 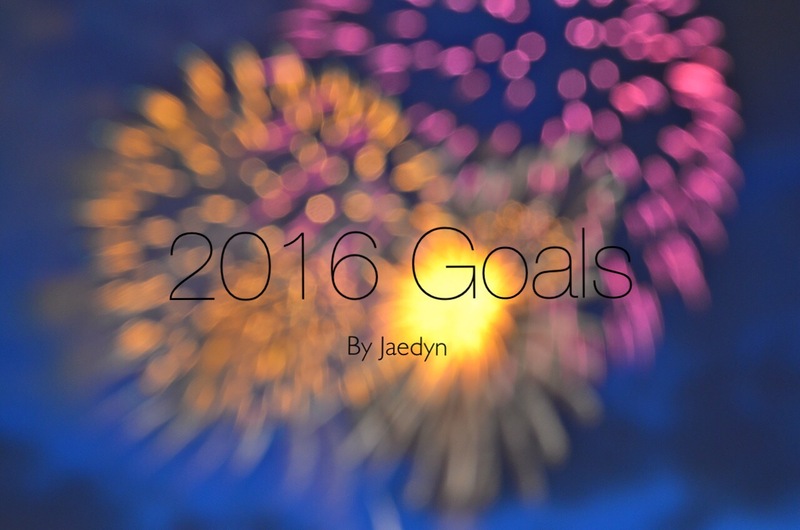 Comment your goals for 2016!